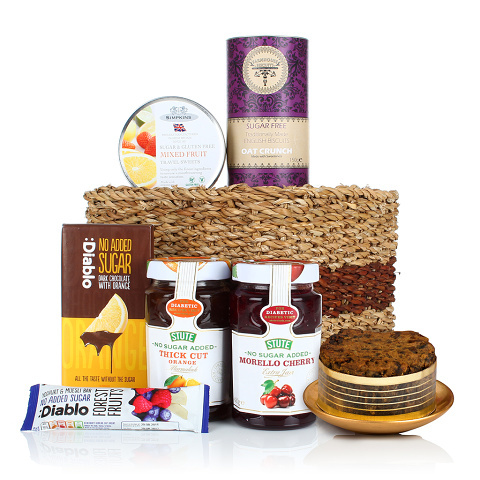 Our Diabetic Joy gift includes a range of treats that we have specifically chosen for the diabetic diet. Treat your diabetic friend, family member, colleague or customer with this very thoughtful gift! We would recommend that you check the contents for suitability prior to purchasing. Please contact us if you have any questions.